Pacific salmon (Oncorhynchus spp.) resources in Alaska, including the production of both wild and hatchery-origin salmon, hold important ecological, cultural and economic value to Alaskan communities. A pressing question is whether this important natural resource will remain resilient to the environmental changes of the future? Alaska is already experiencing rather dramatic environmental changes in the form of ocean-climate warming, ocean acidification, and changes in at-sea densities. Stressful environments can magnify the impacts of infectious agents on fish populations. Thus, the lack of infectious agent research on Alaskan salmon is a critical knowledge gap given the value of salmon to Alaskans, and the notable impact disease has had on the productivity of salmon populations elsewhere. Here, we exploring ecological dynamics between reductions in the body size of adult Sockeye Salmon (O. nerka, hereafter Sockeye) returning to spawn in the Copper River, Alaska, and energy density, pathogen loads, and reproductive fitness trade-offs among short and long distance migrants. Fieldwork was conducted in 2016, and included the lethal collection of 104 Sockeye from various locations along their migratory path including upper and lower river spawning grounds. Body composition analysis was conducted including the determination of energy density. Otoliths were collected to determine hatchery- or wild-origin based on strontium marking. This proposal requests funds to extend this study to include measures of fish health in terms of the prevalence of globally-significant infectious agents known to cause disease in salmonids using novel, genomics-based biomarkers. Support is also requested to complete otolith readings to determine Sockeye origins. Research will focus on two studies. 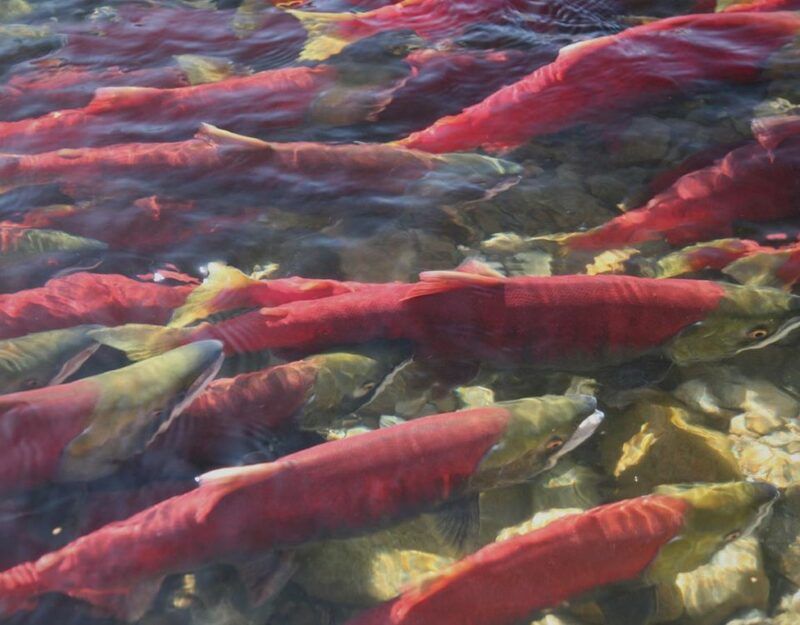 The first study will use empirical data to test hypotheses regarding relationships between returning adult Sockeye energetic condition, pathogen load, and trade-offs between migration difficulty and reproductive fitness. 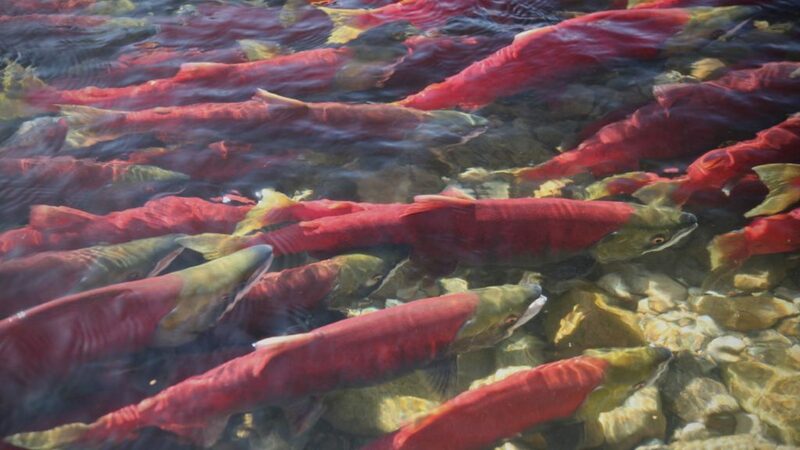 The second study will use a modeling approach to forecast energetic states of adult Copper River Sockeye under various environmental scenarios including changes in body size, pathogen loads, and in-river temperature and water flow.